I finished season 5 of The Walking Dead, so I’m ready to start the current season. 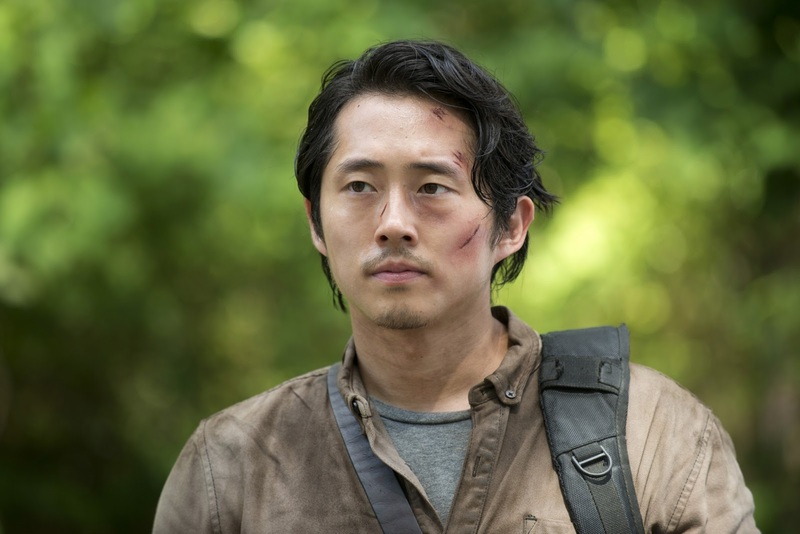 Can they please, please, please just not kill Glenn. He is the best part of the show, since Rick started acting crazy all the time. I think I would have to boycott the show if they got rid of him. Don’t mess with Glenn. I am addicted to these chips. I just can’t stop. These + veggie subs are amazing. I love this workout if I only have a few minutes after work to squeeze in a workout. If I haven’t done it for a while, it really makes me sore! 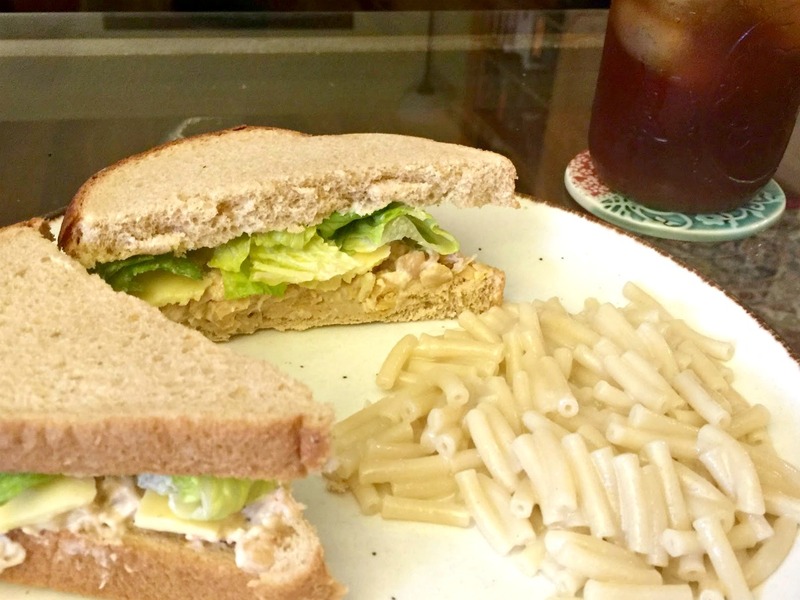 Chickpea salad sandwiches have been on my radar like crazy. I can’t get enough, especially with some crunchy lettuce. I think it’s the spring season; it puts me in the mood for springy foods. I usually use a can of chickpeas, mayo, salt and pepper, and paprika, but you can add in whatever seasonings you prefer. It tastes surprisingly like chicken salad! And the mac and cheese is Earth Balance box mac and cheese; it’s totally vegan and amazing. I am on the lookout for some casual light colored jeans for spring. Maybe with a few rips/tears and loose but not baggy. Also, all the kimonos. I’m so ready for Spring. 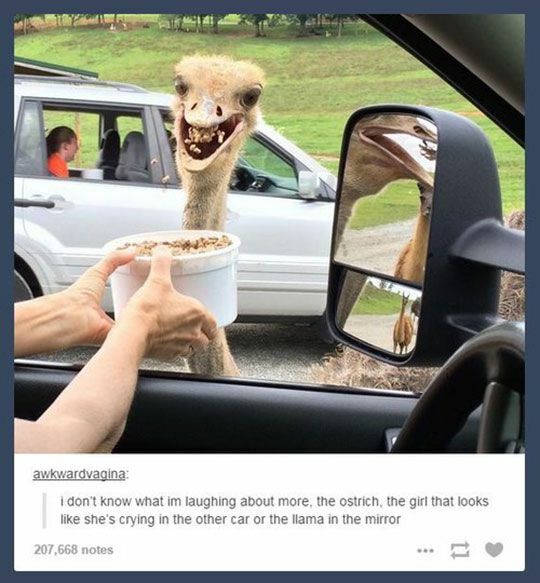 I don’t know whether to be terrified or amused by ostriches. Probably both. That’s it! Have a great weekend! Hope the sun stays out wherever you are. I’m going to enjoy it before this snow comes! I’m linking up with Amanda at Meet at the Barre for Friday Favorites. Those little leggings!!!!!! That is hilarious!!! Oh girl.. get caught up on TWD – finale coming up in 2 weeks! Chickpea salad? I'm checking that out RIGHT NOW! 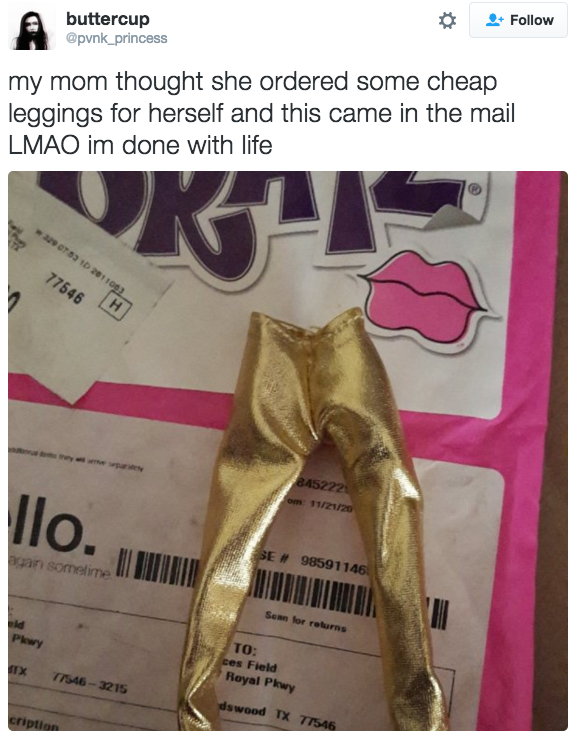 Those little leggings are so funny! If you thought that last season of TWD was emotional, just wait for season 6! It's insane! I hope that you can find it On Demand so you don't have to wait too long to watch it! I think that I'd probably be scared by that ostrich! I hope you have a great weekend! 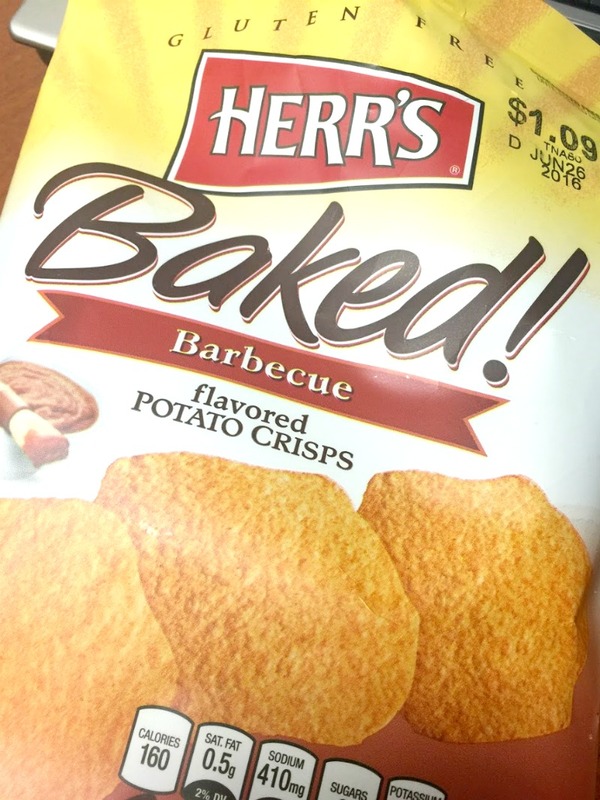 I love baked bbq chips.. yum!!! hahahaha that girl in the car is hilarious. mm chickpeas are my fave! i totally eat a mix like that, except not on a sandwich. i might try that workout. maybe. i am feeling lazy so probably not.